I'm focused on practical applications of artificial intelligence to solve real-world problems. Current focus is on the development of better tools to predict financial risk, especially in credit transactions, and the development of improved diagnostic methodologies for cancer detection by applying machine learning ensemble techniques to a state model of genetic expression. Underwrite.ai was founded in 2015 by Marc Stein based upon his experience developing underwriting systems for companies including JP Morgan Chase (consumer lending), Freedom Debt Relief (debt settlement) and LeaseQ (equipment leasing) over the past 20 years. The genesis of the idea which led to Underwrite.ai began with work to correlated DNA microarray data with the probability of prostate cancer. This required the development of machine learning techniques which allowed for very wide and shallow data sets, e.g. 25,000 genes and 25 sample cases. This discovery led to the question, what other types of assets could this algorithm be applied to? Consumer lending and small business lending immediately proved to benefit significantly from this approach. Marc Stein is the founder and CEO of Underwrite.ai. Underwrite.ai applies advances in artificial intelligence derived from genomics and particle physics to provide lenders with non-linear, dynamic models of credit risk which radically outperform traditional approaches. EXCLUSIVE – There were conflicting views on the importance of the FICO score at the PayThink Conference in Phoenix this week. While only some professionals were bold enough to say the standardized credit scoring has become marginalized, others maintained that it was here to stay. However, all agreed on the increasing potential of alternative data. There has been an increasing trend of late of FinTech companies using artificial intelligence and machine learning technologies for a variety of purposes. Some financial technologies rely on AI or machine learning for core functionality. Others use automation as an add-on to an already powerful solution. Either way, machine learning is quickly becoming the wave of the financial future. Soon, every financial technology company will incorporate it in some way into the technology that is revolutionizing the way people relate to money. One of the more fascinating presentation at LendIt USA 2017 last week was Marc Stein’s presentation titled “Using AI to improve underwriting.” Stein is CEO and founder of Underwrite.ai. Can AI Be Programmed to Make Fair Lending Decisions? As lenders dabble with artificial intelligence in credit decisions, debate has stirred around whether AI and even more traditional decision-making algorithms can be trusted to make sound decisions. In an earlier article, we posited that the use of AI in underwriting machines could have unintended consequences — such as shutting disadvantaged people out of the financial system. That's because AI machines can learn on their own, are not strictly governed by rules, and they can make their own rules and assumptions. 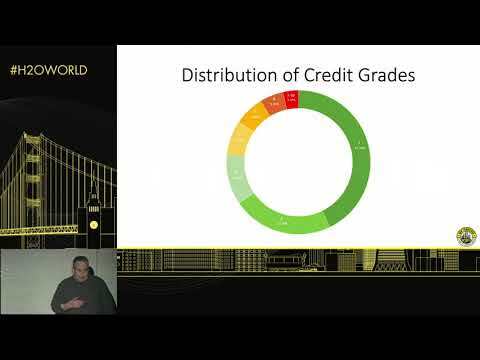 Lenders of all stripes have begun using artificial intelligence (AI) to more efficiently underwrite and at LendIt USA 2017 we looked at how AI can be used to improve the underwriting process; understanding the history of assessing risk in consumer lending helps to set the basis for the limitations of traditional credit scoring for today’s borrower; the current models used for scores like FICO are great if you are a prime borrower, but a majority of the US population falls outside that bucket; using machine learning algorithms based on application attributes and a credit file can help to build a more suitable risk profile of the borrower that falls outside the prime category; Marc Stein of Underwrite.ai goes through specific cases where his company was able to bring down default rates significantly and provides a practical look into how AI can help a lender's underwriting capabilities.